The New Year calls for new reasons to celebrate with Every Kind of Family, memories created over good company and even better food. With Max’s Restaurant’s latest offerings, celebrating Every Day to the Max has never been more delicious! Say hello to Max’s Adobo Ribs and Beef Salpicao! Check out a few reasons why you shouldn’t miss these hot-off-the-kitchen dishes by Max’s. Everybody loves Adobo! A classic Filipino dish served with special spin, Max’s Adobo Ribs is made by slow-cooking a half slab until it is moist and fork-tender. It is then sweetened with onions, served with a tangy and flavorful sauce. Then topped with leeks that automatically brings back memories of eating the classic adobo. This is a definite step-up from the classic Pinoy favorite. With the tangy taste flavor still in tact, the use of ribs makes it a little more sophisticated and savory (with bones). The only drawback? 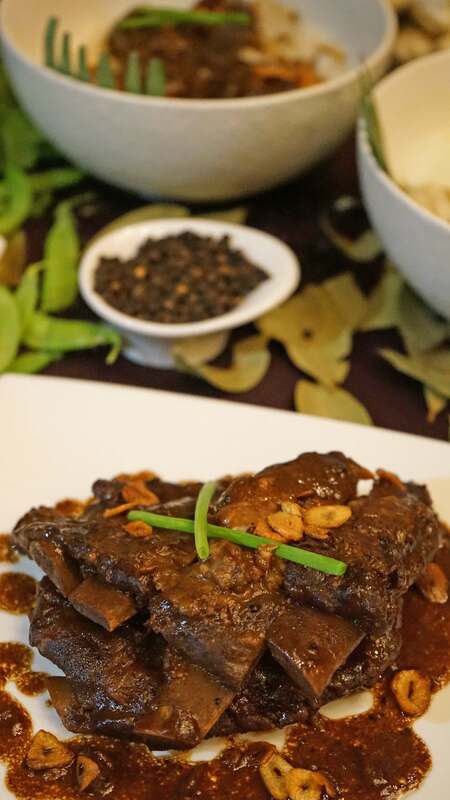 Max’s Adobo Ribs is so flavorful (in a good way) that you’d definitely need rice to go with it! Sarap to the bones, indeed! Got your family or barkada in tow? Max’s Adobo Ribs is best when shared. Feast on it, alongside a serving of Sizzling Tofu or Pancit Canton, one large plain rice, three glasses of Iced Tea, and three dessert-sized servings of Buko Pandan. All for just Php 899.00! Bitin? Go for another a la carte serving for only Php 499.00 only. Going solo? No problem. The savory Rice Bowl is perfectly-priced at just Php 249.00. If you think the fun stops there, it doesn’t. 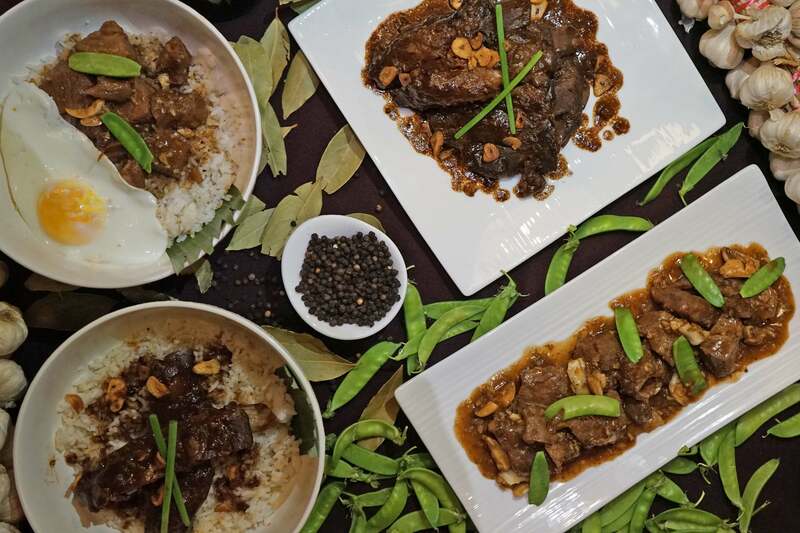 Max’s Restaurant now also serves Beef Salpicao. 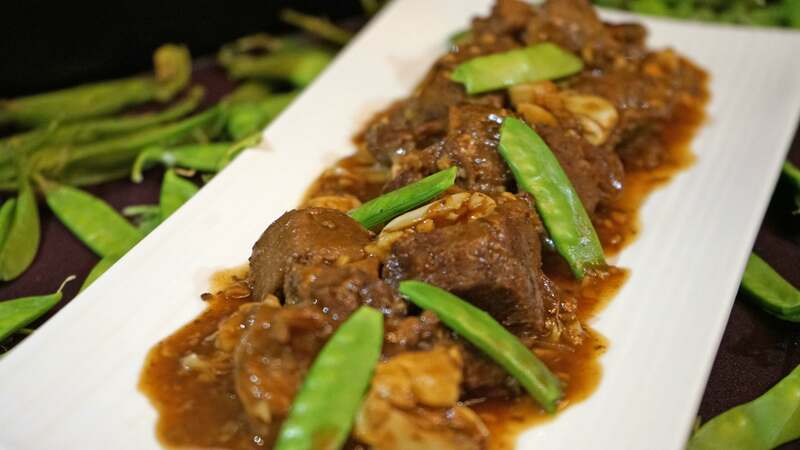 Cubed beef sirloin stir-fried in a hot pan with lots of minced garlic and a variety of spices. Savory and garlicky, this Pinoy favorite with a Spanish origin can be enjoyed Ala Carte for Php 499.00 or served in a Rice Bowl for only Php 249.00. One thing I appreciate about Max’s Beef Salpicao is its mildly sweet yet savory and garlicky flavor. I loved the consistency of the sauce and the addition of the snowpeas. Although I must say, meat could have been a little bit more tender. And the pieces sliced a little bit smaller. But otherwise, a good addition to the star menu of Max’s! 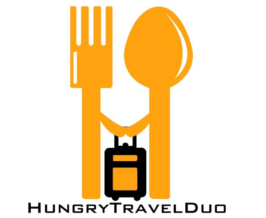 Priced at Php 499.00 for a la carte and Php 249.00 for ricebowls! All feasts should end on a sweet note, of course. So that’s why Max’s Restaurant also introduced the newest addition to its Max’s Corner Bakery treats, the Mango Pandan Ensaimada. For only Php 33.00, customers can enjoy this soft ensaimada served with a crown of whipped cream frosting, sprinkled with mango bits and a hint of pandan. Your Max’s favorites are just a click, chat, or call away. Visit www.maxschicken.com to order through the Max’s Restaurant website, leave a message with Max’s Restaurant’s Facebook Messenger chat bot, or dial 7-9000 to order via landline or mobile. 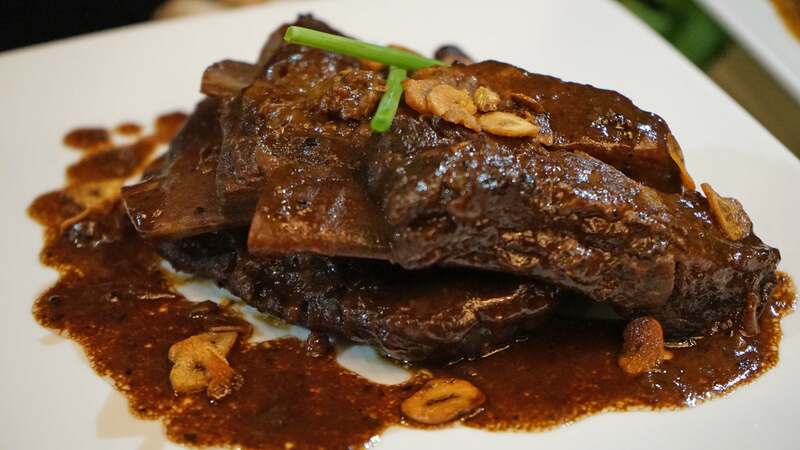 Try Max’s Adobo Ribs and Beef Salpicao, today!